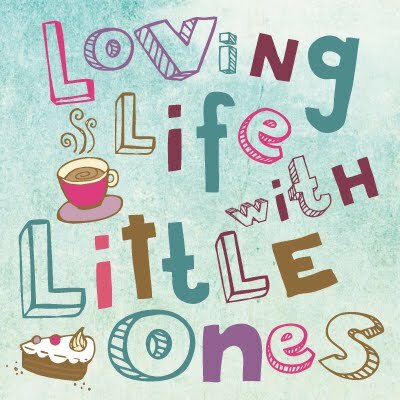 Loving Life with Little Ones: It is time for big boy pants! Little 3 only turned two years old a month ago but he has been showing a lot of signs that he might be ready to have a go at toilet training over the last couple of months. The past two weeks I have spotted further signs and decided that although he is still young and as I have the Easter holidays off work now is the right time to give it a try. Little 3 has known when he has been filling his nappy for some months now, he tends to go off somewhere and hide or stand very still and will come and tell me when he has finished. Recently he has asked to go to the toilet a few times and I have gone with it thinking if he wants to use it he can and taken him only to find he had a dirty nappy so I knew he was ready to tell me when he needed to go. When he has been nappy free after a bath or when he is getting dressed he has had a few accidents, like toddlers do, but I noticed last week he stopped running or playing and stood up just a few seconds before he went so I am hoping that this means he is beginning to recognise a few signals that might mean he is ready to toilet train. Physically I believe now is the time as well and this is really important, they can't train if they are just not ready. Little 3 wears cloth nappies and they are totally different to disposables as they do not lock the wetness away like disposables meaning that when they are wet they feel wet. Having this type of nappy means I am far more aware of what is going on, his nappy is sometimes bone dry when I go to change him and then soaking just 10 minutes later and he has been dry after his nap and first thing in the morning several times in the past month too. This tells me that he is capable of holding it in for long periods of time and that when he does go it all comes at once! Little 3's language and understanding is excellent for his age and I personally think this has a huge impact on the age that your child is ready to toilet train as well. They need to understand what you are asking them to do and be able to follow instructions as well as tell you when they need to go. So with Little 3 showing signs of readiness and two weeks off work the plan was to give it a go. Potty Training Academy heard that we were going to potty train Little 3 and sent us one of their potty training packs to try out complete with a story book and dvd as well as some advice booklets, a potty training chart and lots of stickers. There was also a badge, a certificate and a magic reward box included in the pack too. The chart (complete with the addition of some Thomas and Friends stickers to spark Little 3's interest) is on the bathroom wall, we have a shiny new bumble bee 'My Carry Potty' to use at home or out and about and with enough pants to see us through you will have to come back soon to read how we, or should I say Little 3, got on. N.B We received our Potty Training Academy pack and Bumblebee 'My Carry Potty' in return for including them in this post.